We’ve been providing trusted Assistance in Moving for seniors that have surpassed most expectations. 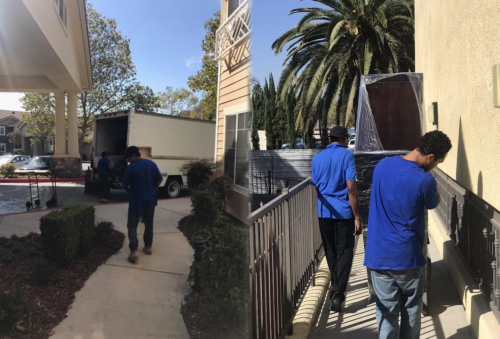 Our moving services will also allow you and your family to take your mind off the hassle and worries of the move and focus on settling into your new residence! Our Movers are patient, and they are knowledgeable regarding the transition of the moving clients from one residence to another. They have also been carefully screened, insured, and trained to handle your belongings with gentleness and care. 1. PHONE: Call in and request a free in-home assessment. We don’t charge per hour. We charge for the job completely to assist the family and make the process easier. 2. IN-PERSON: An experienced adviser will meet you at your home to take pictures and then send you a quote within 24 hours. Call and set up an appointment today. 3. ONLINE: By selecting Assisted Living Movers, you will be able to read reviews and schedule a time a date for your move. You can see the areas and sample prices. Our owners are certified administrators and are licensed as residential care providers for the elderly by the state of California.